Details: CostumeThis is a professional stage costume. 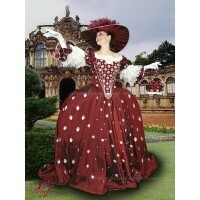 The bodice is made of semi-stretched dense fab.. Details: ballet dress.It is a professional stage costume, which is made on the basis of the professi.. Details: costume, arm ruffles.The bodice and arm ruffles are made of taffeta, overlay is made of tul.. 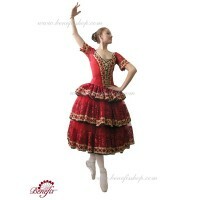 Details: costume, arm ruffles.It is a professional stage costume, which is made on the basis of the ..
Professional stage ballet costume is made on the basis of the basic tutu T0001.The bodice is made of.. 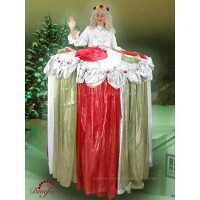 Details: costume, headpiece.It is a professional stage costume, which is made on the basis of the pr.. 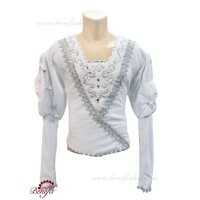 Details: costume.It is a professional stage costume, which is made on the basis of the professional .. Details: Costume, headpiece.The bodice is made from elastic fabric (velvet) with long sleeves; the u.. Details: bodice, skirt, headpiece, handbag, crinoline.The complicated historic costume is carried ou.. 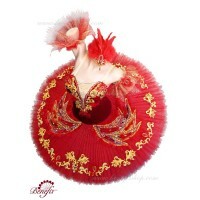 Details: costume.The unusual costume is meant for the ballet artists who perform on stage walking on.. Details: bodice, tutu.This exquisite oriental costume consists of a short bodice and a tutu which is..
Harlequinade costumeThe terms of producing of the items (since the day of receiving the money on our.. Details: tunic.It is a professional stage costume, which is made of stretch velvet on a hard basis a..